Music inspired by following the Danish ESA astronaut travel to the International Space Station and back again. 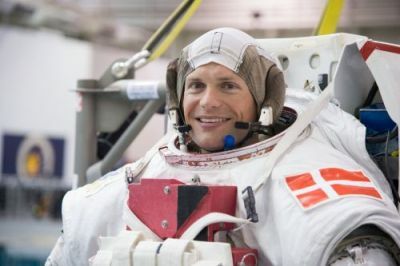 Andreas Mogensen is the first Dane in space so there was a lot of news coverage about him. It has been amazing to hear how he has been dreaming about travel in space all his life and the many years of training it has taken to reach his goal. It was also fun to hear him talk to his mother from the space station, and her last remark was "remember to call when you have landed safely". The music genre must be a kind of Space Latin. I am very busy at the moment helping the open source software project Foswiki getting a new release stable so I have not had too much time making or listening to music. I will take this weekend to catch up on some listening.